This weekend was quite a knitterly time at the Kitchener Waterloo (or “K-W”) Knitter’s Fair, with much yarn and knitter interaction to be had. I know I didn’t see everything there was to see, but what I did see was darned nice. I was once again followed home by a few skeins of sock yarn from Van Der Rock yarns and Indigodragonfly, a skein of Viola laceweight, and inexplicably, some Twinkle soft chunky that was on sale at the Purple Purl booth so that I can knit myself up a super warm scarf and hat set in about three seconds when I feel like it. And now that it’s September and decisively moving in the cooler direction (oh thank you dear sweet heavens, the humidity was starting to break me down), it’s easy to turn to the yarns. Add in the fact that I just finished a couple of projects and well, you’ve got yourself a nice vulnerable time for start-itis. I want to knit everything, excepting of course the sweater I’ve already started for Rhinebeck and put down a month ago to work on other things. But today i’m here to talk about cables, and cabling without a cable needle. I’ve been wanting to do up a photo tutorial for this for lo these many months, and I finally used my talk at the K-W fair as the necessary excuse, including these photos as part of the talk. Because I think if you’re going to take steps to knit fearlessly, getting a good comfortable grasp of cables is one of those key steps. 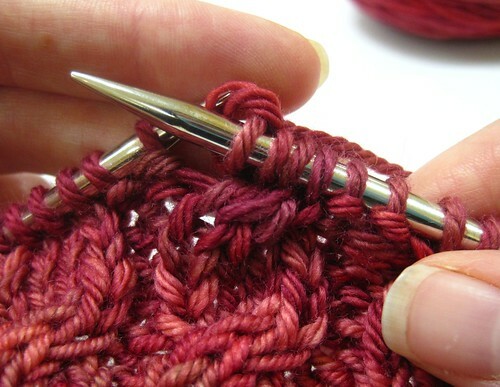 And for many knitters (thought not all, I recognize), it’s easier to get there speedily if you can get the hang of cabling without a cable needle. So, I’m going to share with you my method of doing it. [ETA]: The yarn, if you’re wondering, is a skein of Tanis Fiber Arts Aran weight in the Garnet colourway, that I have kicking around extra and love using in a pinch for playing with. I’ve got photos here demonstrating cables over 4 stitches, to the left and right – C4L or C4R is probably how you would see them noted in patterns. 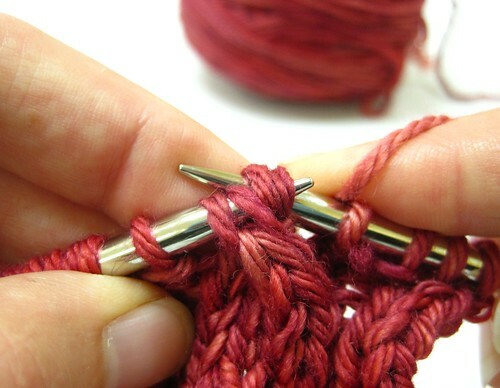 I use this exact same technique for cables over 2 stitches as well, which comes in super handy for all my little twisted-stitch cable patterns like Royale or Nouveau or even Viper Pilots. 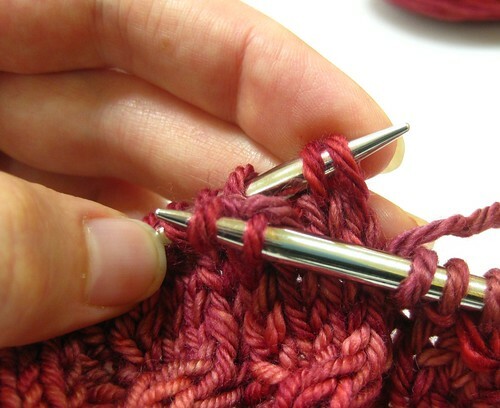 Step 2: Slip all sts off of LH needle. The first half of sts in the cable (which would normally go onto the cable needle) are now “live,” and not on a needle at all. 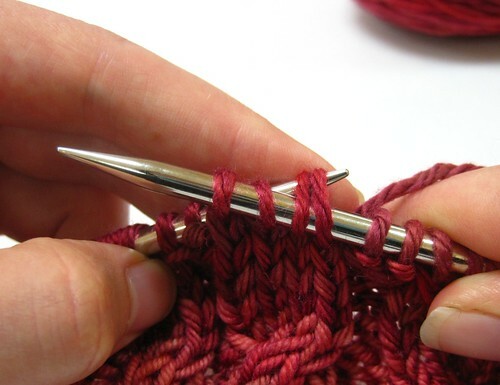 So, all you have done, in essence, is form the twist first, then worked the stitches (knit-wise), second. 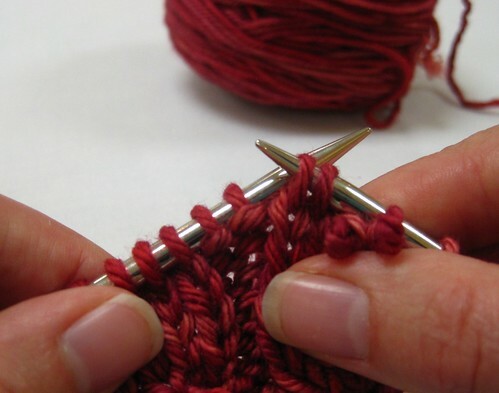 If this was a twist involving some purl sts as well, the twist would still be the same, you would just work the sts as knits or purls as necessary in that final step. 1. This works best on cables that are worked over 8 sts or less. 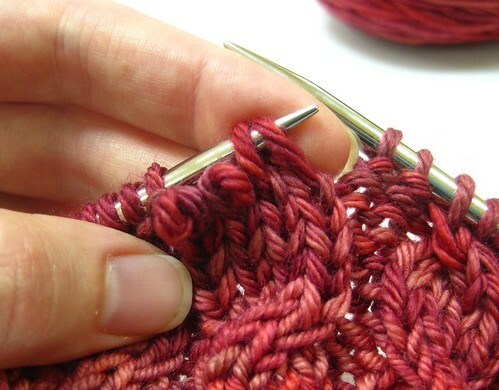 If i have to do a really fat cable of 10 sts or more, I do use a cable needle then. 3. 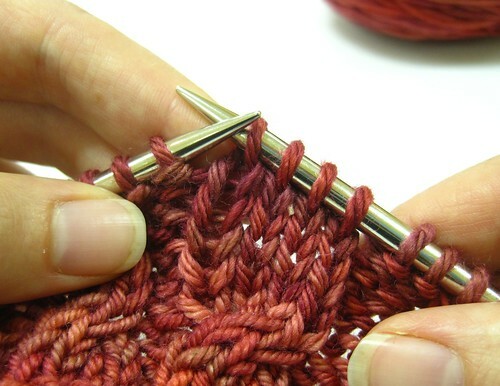 There is a strong inclination (and helpfully so) to sort of pinch the work with your thumb and forefinger in that moment when you have the live stitches. Try not to do this in a death-grip fashion. 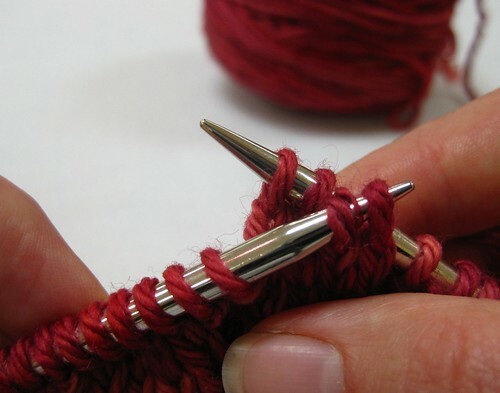 The more stress you put on your hands as you knit, the more you are increasing the risk of knitting injury. Happy Tuesday, and happy knitting. 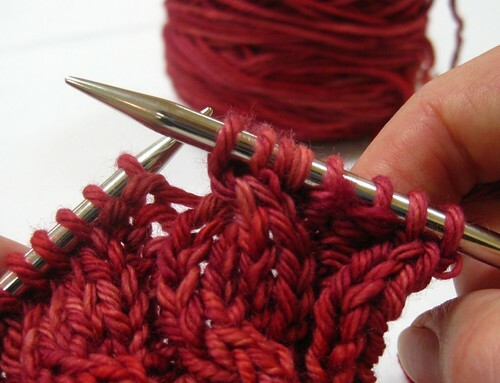 Next to magic loop, cabling with out a cable needle is my favorite knitting technique. I hated and refused to do any cabling before I learned it. Nice tutorial! I love cabling without a cable needle; it means one fewer tool to lose! I have a video tute on my blog, for those who need to see movement. Your pictures are so very clear! Tripod or human helper? Excellent focus. No human helper, just tripod, self-timer, and macro setting! It’s amazing what you can do with a few funky camera settings. Thank you, Goddess of Logical Knitting! Keeping this one in my favourites! Excellent information. Great photos. 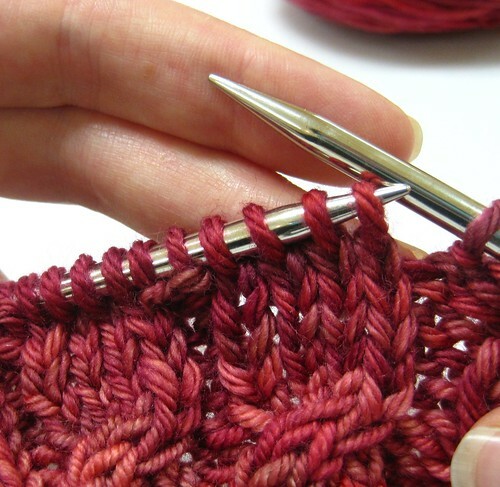 Stunning yarn — is it possible for you to share what yarn it is? Please and thank you! Yay ! I had seen this, or similar, decades ago… and I have stopped kicking myself today ! It feels so good to stop ! Many thanks, hugs, and stray mittens for your tree ! Thank you so much for this! I am a newer knitter and I have yet to tackle cable knitting. Its the only thing that has caused me distress. This makes it look so easy and simple. I hope you enjoy Rhinebeck! Its a beautiful area! I’m originally from about an hour from there and as I cant make it there this year, I hope to next year! Thanks Glenna – as always you are an excellent teacher!! Great pics. I just started doing cables & I think once I am comfortable with them I will def. 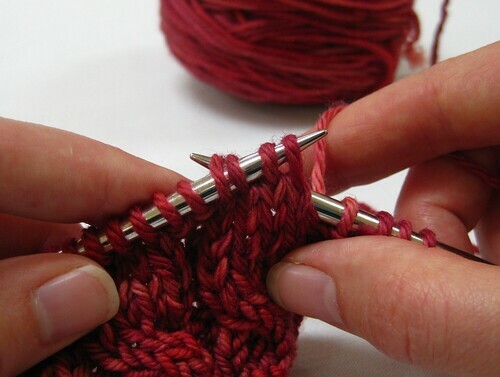 try your cabling w/o a cable needle. Thank your for sharing. Huh. That looks way more straightforward than whatever I’d been imagining every time you talked about cabling without a cable needle. Thank you so much for sharing this! I’m working on a cable project now, and I might just have to try this out. 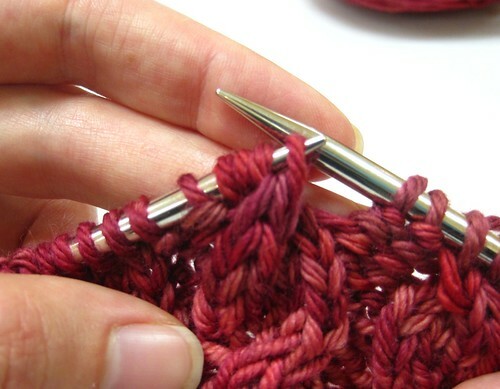 Perfect… and I’ve lost all my cable needles! Very clear tutorial. Thank you! HOLY CANNOLI. Cable without a cable needle/stitch holder thingy. That just blows my mind. And you make it look so easy! Just used your tutorial on my current project (cabled pillow cover my sister requested for Christmas). Well done and thank you! Very helpful to have the link in the box on your site so I didn’t have to scroll through posts to find it. If you want to do a tutorial about sewing zippers into knitted pieces, I’ll be needing it in about 2 weeks! Ha, only kidding…. Thanks for this tutorial, so helpful! And your blogroll is very cool too. What an excellent blog you have here!